Only the front sight can be adjusted. The back sight is fixed. 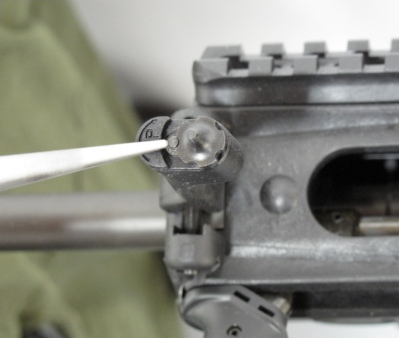 Windage is easily adjusted by turning the adjustment screw. Clockwise moves the front sight to the left. 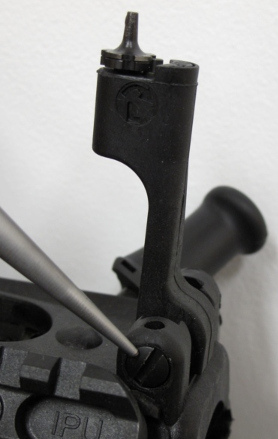 To adjust elevation, press down on the plunger and rotate the front sight assembly. Clockwise changes elevation up. The sight assembly has two parts. The bottom one turns to change the elevation. 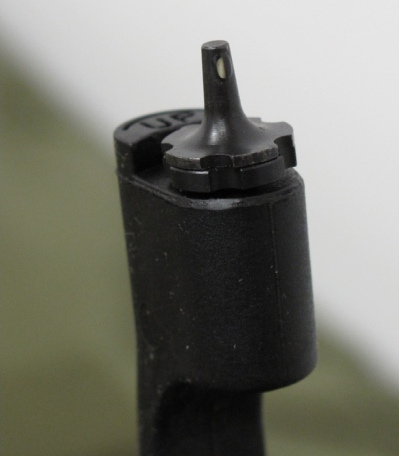 The top one can be turned, once the elevation is good, to direct the small slot towards the back so that the white highlight is seen when aiming.